Today I’ll be showing you all the products I love and have used up recently. This is an amazing product and has been in my makeup bag for about 4 years now. I always have a back up of this. It has a little coverage, keeps me matte for a long time, doesn’t look cakey and is great for touch ups. The shade is a perfect match for me and it comes with a refill. What more could I want? Almost every college girl has used this at some point since this is easily accessible and inexpensive. I remember going through a ton of these during my high school / college days! This has been in my kit for a long time. I do not use this as much now since I’ve moved on to better powders but I finally finished it! I probably will not repurchase this but it is a great little handy product for touch ups for people on a budget. 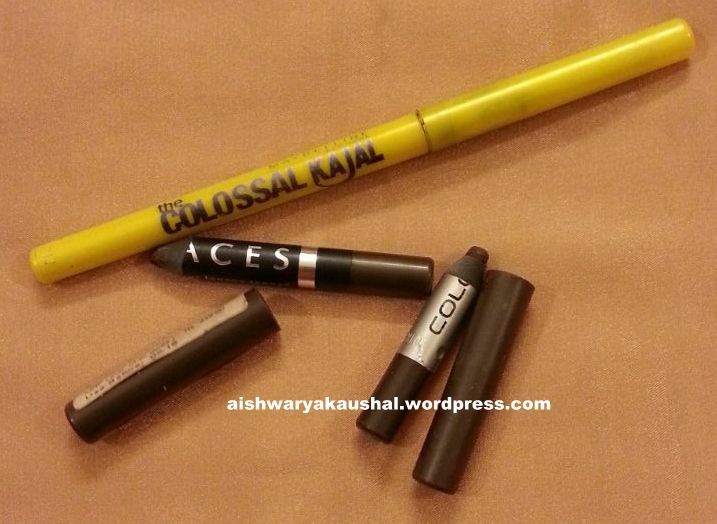 This is the volumizing mascara in my routine. It separates each lash while coating it with blackness and gives the look of extremely voluminous lashes. 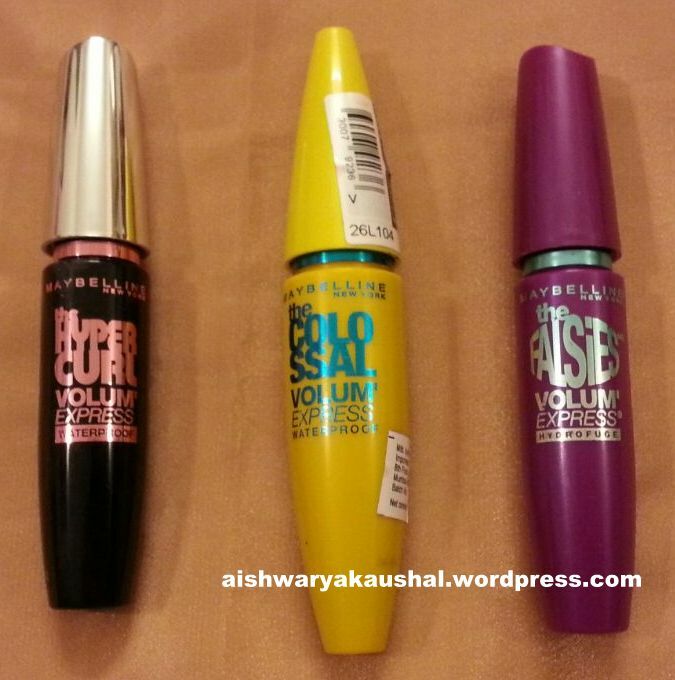 Maybelline mascaras tend to be a bit more wet than the rest but that works well for me as I like my mascaras to be on the wetter side. The combination of these two mascaras gives me the best possible results yet and I’ve received a lot of compliments on my lashes when I’m wearing these two together. I am using a new one of this too. On its own, this mascara is great for those natural days when you don’t want extreme volume or length but just want your face to look more awake and your lashes to appear more black. I hardly have those days when I wake up thinking I want natural lashes today, but this works well when I’m layering it with other ones. I am not sure if I’ll repurchase this. I do not have large pores but this makes my skin appear slightly smoother and helps my foundation go on more evenly. It also increases the lasting power of my makeup and instantly mattifies the skin upon application. I am currently using a back up of this. 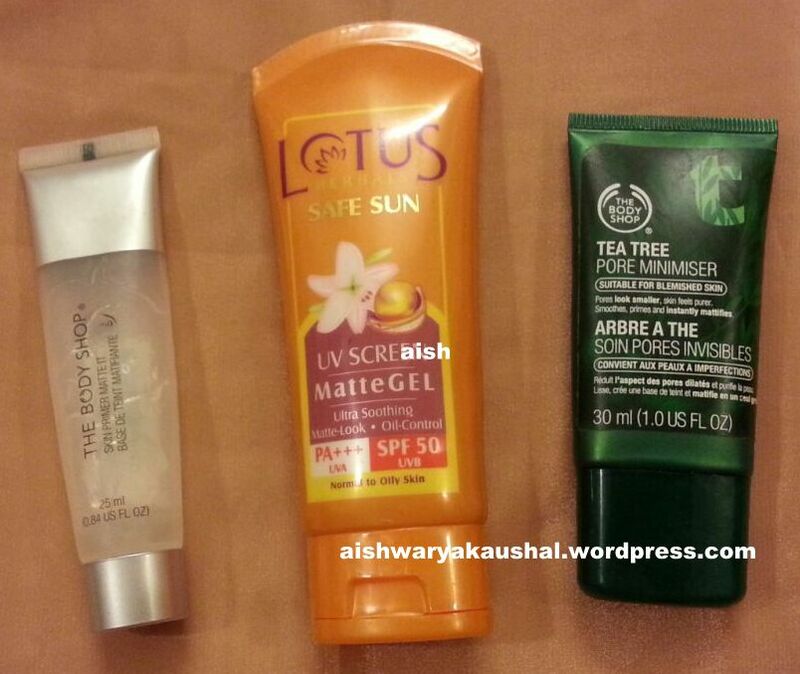 Lotus Herbals’ sunscreens are great for oily skin. This almost works like a primer and feels fresh and matte. This is my favorite sunscreen and I always have a backup of this. I haven’t found a better sunscreen that works so well for oily skin. I love this product! I use it to spot treat a blemish or redness. It even works well as a primer and refines pores. I can’t say if it helps minimize the size of pores because I do not have large pores but I do love using it as a skincare product and sometimes under makeup. I am using a back up of this and I will repurchase it once it finishes. This is probably the fourth one that I have finished. It works really well to hide under eye darkness. I also use it to highlight certain areas of my face. It is handy for touch ups and you only need a small amount. I love that it has medium coverage which makes it buildable. 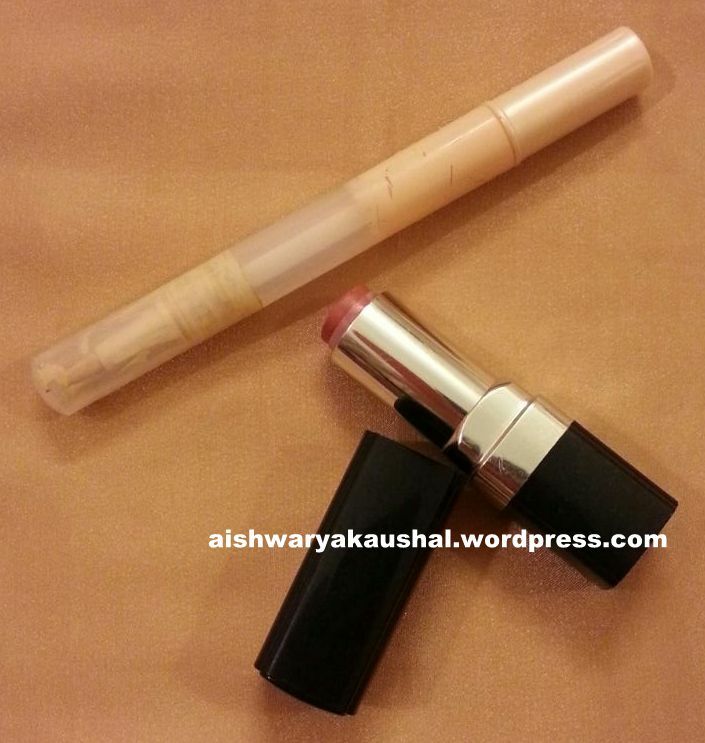 It is a great inexpensive dupe for YSL Touche Eclat. 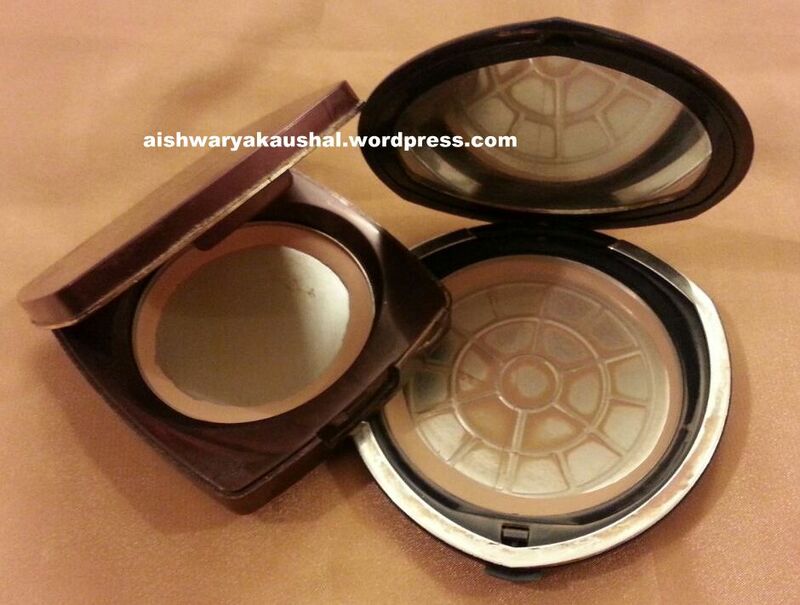 I already have one that I am presently using and I will definitely repurchase it. I love using brown eyeliner pencil around the eyes to define the shape and then use black in the inner rims of my eyes and on top very close to the lashline. I find that brown is not harsh at all and this one has little shimmer particles. It happens to be very creamy and doesn’t tug on the eyes. A few seconds after application, it sets and then stays for a long time so if you want to smudge it, you have to work very quickly.. I have gone through atleast 5-6 of these and I will repurchase this soon once I finish other liners. This is an amazing eye pencil. It glides on smoothly without tugging the slightest bit on the delicate eyelid area. The dark brown color is exactly what I wanted. It stays on for a long time without disappearing and is completely matte. I will definitely repurchase this once I finish some of my other brown liners. In fact, I would like to try more shades of this.